How Is a Traditional Djembe Made? Monette Marino's Workshop Experience June 7, 8 & 9th - Boston 2015! One of the great percussionist of our time comes to Boston THIS June 5th, 6th and 7th. Register Now! 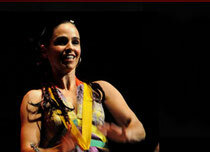 Monette Marino is a popular and well-known drum teacher in San Diego, as well as other cities around the globe. 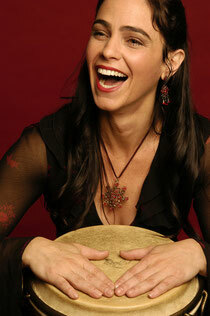 She has been sharing her love of drumming with students and audiences for almost two decades. Monette’s 30-year journey of exploring different drumming systems from around the world has given her a deep respect for the cultural heritage preserved and passed on through the language of the drum. She started playing drum set at age 8 and then began to develop her hand drumming expertise at age 15. She has studied with local and international Masters in Afro-Cuban, Afro-Brazilian, Afro-Caribbean, Korean and West African drumming. 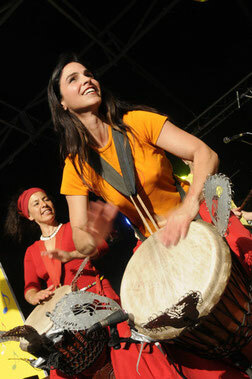 In 1995 she launched her career as a professional musician and percussion teacher in San Diego, California. At that time she also founded Baraka International Arts (which later became Tam Tam Mandingue USA), a non-profit organization dedicated to supporting and fostering interest in multi-ethnic drum and dance. Monette began her apprenticeship with Master Drummer Mamady Keita from Guinea, West Africa in 1996. After three years of intensive studies both in the U.S. and in Africa she became a certified teacher for Tam Tam Mandingue, Mr. Keita’s international school of percussion. In 1999, Baraka International Arts officially became Tam Tam Mandingue USA, the 11th branch of the school (and only the second location in the USA at that time). Since then, Monette has earned the TTM Diploma of Proficiency from Mr. Keita, a distinction reserved only for those who demonstrate the highest level of knowledge and skill in traditional Mandingue percussion, history, and culture. Currently she is one of only 6 persons in the world to have achieved this recognition. From 2003-2012, as Vice President of Tam Tam Mandingue International, Monette dedicated her time and energy to organizing and unifying all the TTM schools/teachers from around the world. She formalized the organization’s structure, created a standardized criteria for the teacher certification process, and organized the annual TTM International Conferences. The systems she implemented are currently being utilized by TTM International to help insure that the history, traditions, and culture of the Mandingue will be preserved for generations to come. As a professional musician for almost two decades, Monette has performed and recorded with many artists including Mamady Keita and his world-renowned group Sewa Kan.
She has also performed with numerous bands/musicians, appeared on television shows including American Idol, and in 2011 formed her own band and wrote, produced, and recorded her first CD, Coup d Éclat. Monette continues to explore many drumming styles and systems from around the world and has a deep respect for the cultural heritage preserved and passed on, hand to hand, mouth by mouth, through the language of the drum. For more information on Monette visit www.monettemarino.com, or facebook. With an all-star cast of musicians, Monette and Mamady Keita bring a wonderful night of excitement to an enthusiastic Anthology audience. Here is the very beginning of her show, introducing all of the players. Nice solos 2/3's thru - Awesome! Awesome Monette solo 1/2 way thru! Live concert footage of song "Little Gift" by Monette Marino Keita. Features Monette on percussion, Irving Flores on piano, Mario Gonzalez on trumpet, Mike Holguin on drums, other musicians are John Rekevics on sax, Nikki Campbell on percussion, Keli Ross-Ma'u on steel drum/percussion, Tonga Ross-Ma'u on bass and Larry Mitchell on guitar. This "Pyramid of Rhythms," entitled, "Sira," was performed by the students of Mamady Keita's 2011-2012 drum camp on January 13, 2012 in front of his home near Conakry, Guinea. Monette is strongly leading this ensemble with students of Mamady Keita. She is in the center! This is a great class taught by remarkable drummer and gifted teacher, Alan Tauber! It’s something I just want to share with everyone, so much fun and such a wonderful way to connect with other people in a deep, uplifting musical way. You will feel supported and uplifted at the same time as you learn to play the hand drums with others who learn and play along with you! A very, very special experience awaits all who take this class. You will not be disappointed. If I could, I would give this class as a gift to everyone I know! "Drum Connection has been an amazing source of drum culture as well as lessons and community for many years. From hand percussion to events and travel, Drum Connection has reached (thousands?) over the years." "If you want to learn drumming, Alan is the man to call." "Great teacher. Has depth of knowledge about drumming and is passionate about sharing it with others." "The rhythm of music is key to cleansing the body of negativity. Everyone should attend this kind of class to dump negative history. I recommend contacting Alan who is caring and nurturing." "kind, patient and totally passionate about his work and his students growth"
"Alan is a great teacher and Networker!" "Alan is a great teacher and has trained a terrific staff. And he's a really nice guy. Sells some good drums, too." "I highly recommend DrumConnection. Alan is very knowledgeable in many areas of drumming, and can assist anyone from the first time novice to the skilled professional. DrumConnection has a wide array of drums that you can try for a perfect fit." "The best djembe place in Boston"
"Drums have always been a path for me to express my soul and the beat of my life. DrumConnection has a fabulous variety of all kinds of drums that can add to your enjoyment or musical expertise. Just a wonderful place to purchase a drum from." "They are in the same business as we are but a long way away. Doing a great job at their craft." "It is a really cool store in a fun shopping area if you are looking for drums a great place to start"
"Alan & DrumConnection are a cornerstone to the hand-drumming and "world-beat rhythms" community. Alan has been sharing his authentic knowledge here for decades. I wholeheartedly recommend Alan & DrumConnection!" "Alan is one fine human being! He already has most of the answers and knows where to find the rest." Universal Drums: Music Therapy, Lessons & African Arts! "DrumConnection in Arlington offers fabulous services in African Arts! :)"
This place should be called, "percussion heaven". You can find every sort of percussion instrument and accessory here, all in one place. The staff is very friendly, knowledgable and helpful. They have professional djembes and dunun . They also sponsor local drum circles and have drum classes with the very talented owner as well as master drummers from around the globe. They also offer a wide variety of CD's. One of the best shops ever! I was thrilled to find that this store doesn't just have hand drums, but is also well-stocked with hardware and parts for rock drum kits. And if they don't stock something you need, they'll order it for you or point you in the right direction. Alan, the owner, is extremely knowledgeable and helpful if I have questions or need advice. When I came in last year wanting to restore my vintage kit, I had no idea where to start, and Alan helped me through the entire process, from cleaning, de-rusting, to finding missing parts. Whenever I have a problem with my kit or something breaks, I always go to Alan first (it's a good idea to call the store to see when he's working!) Often he'll find a way to fix it without having to purchase new parts. Definitely recommend this gem over bigger places like Guitar Center. "Hi Alan, Eddie & I LOVED Nancy's classes. We stopped going because it was dark & cold & late & it was the only time we could both make it ( I work nites ) but we plan to resume classes probably in the spring. I miss it. Rochelle"
I recommend the workshops to all my college student studying world music in the classroom. We've also purchased beautiful instruments I use in my teaching. People marvel at their sound and touch. Participating in a beginners drumming series was so much fun, and I was surprised at what they were able to teach us! We plan to go back as soon as our schedule allow a steady attendance. Just bought my 3rd instrument from this store. Always a pleasure to do business with DrumConnection, and home to a great community of drummers. Nothing that has occurred since would cause me to change my mind about Alan and his business: He's an honest, original voice in a fast-changing town, offering a rhythm that is hard to beat. Alan is always a pleasure to do business with. He is knowledgeable and very kind. The classes they have are fun and very informative. Always a great experience. I needed to replace the head on a djembe. I live on the south shore of MA, and was having a hard time finding a place to do the job. I discovered the DrumConnection through a list serve and found the best resource I could hope for. Alan's knowledge is vast, and the service was done professionally, on time, and at a reasonable price. I do not need to look any further for my hand drumming needs. (but a famous dude in percussion). Bought a present for a friend and they had just what I wanted. They helped me pick the right one. Weren't pushy. Really nice vibe. Will definitely go back when I need a drum or a present for someone. DrumConnection is great! Excellent teachers, extremely high quality guest drummers from Africa, and female teachers and leaders. Thank you Alan, Thierno, Audrey, Issa and Moussa! At DrumConnection, I began my beginners' class feeling lost and insecure. However, while the drum is quite challenging, I have felt more and more connected to the group thanks to the wonderful teachers, and the kindness and acceptance of other drummers. In other words I am deeply indebted and grateful for the opportunity to expand my skills, horizons, and sense of belonging thanks to the drum. The ongoing learning experience is challenging, exhilarating and humbling. Thank you Alan, Thierno, Audrey, Issa and Moussa, and thank you to all my fellow students! Thanks so much. Tuned up my kids drum, very knowledgeable and friendly! Great teachers including the Masters from West Africa; great drums (all kinds) and accessories. Director and owner, Alan, is an excellent drummer himself, friends to all and always willing to share his knowledge. Classes & Workshops at all levels challenging and tons of fun. Serious drumming going on here! I watched Alan help a gentleman trying to rent an accordion. Yes, this sounds like a Seinfeld script, but it was touching seeing Alan help someone out. Additionally, the store is well supplied, and the prices are quote reasonable for being able to get your hands on what you need right now. Truly, an asset to the community! April 9, 2016, 1:47 p.m. I have spent several wonderful weekends at DrumConnection studying drumming rhythms with various master drummers (djembefolas) and I just want to thank Alan and the wonderful community of people I met at there for a wonderful, fun, inspiring and informative time. If I didn't live on Long Island, NY I would be there every week. 5 star rating from me! DrumConnection is a wonderful place. Alan is so helpful, thoughtful and kind. The store has a great selection of drums that will help you connect to music from all over the world. Highly recommended! Jan. 16, 2016 : 5 Stars! Great experience, no pressure to buy or spend more than I wanted to, just the perfect assistance to help me find the right drum for me - a clear joy for drumming and very welcoming - made me feel right at home. I was looking for some nifty percussion accessories for my son-in-law and I really didn't want to go the the Guitar Center. What a great place! I got great advice & was able to find exactly the kind of stuff I was looking for! A perfect shopping trip & well worth the weekly trip down from Cape Ann! 5.0 star rating 12/6/2015 Yelp! I took a beginner drum class here this fall. I was impressed by the business's connection to West African drumming. Thierno, a drummer from Guinea, was our teacher. If you want to learn drumming, have a weekly class with lots of laughing and meet people from around the world this place is for you. Alan the owner is always friendly and helpful. When I was looking for a drum, he chose 4 drums he thought I might like, each unique. He helped me sort out the differences to find the combination of pluses that added up to the perfect drum for me. Alan the teacher is a non-judgmental, supportive, and clear instructor whose decades of experience and amazing skill as a drummer combine to provide a safe and inspiring learning environment. I've studied with four other DrumConnection instructors and each is excellent in his or her own ways, and all certified by examination. A great store and a wonderful school. I recommend it without reservations. The beginner drum class was extra special. Taught by Thierno Keita-what a wonderful escape each week from the work-a-day world into a world of rhythm and movement. Great for the brain and the soul. Alan Tauber, who runs the Drum Connection could not be kinder or more devoted to his art. This has been a postive turn for me and I will continue on this road with pleasure. DrumConnection is an nook of musical magic on Mass Ave in Arlington. The drumming teachers are from Africa, they sponsor workshops and trips to Africa to learn drumming. Alan the owner is very flexible and understanding with scheduling lessons. The drum selection is fantastic!! I recommend it to everyone I know. What a gem! 5.0 star rating 11/9/2015 Yelp! Broad selection of percussion instruments from all over the world. Alan, the owner, really knows a lot about the instruments and the music they make. 5.0 star rating 11/7/2015 Yelp! We have purchased many instruments from Alan. He knows so much about percussion instruments that we trust him with ordering sight unseen and have been pleased with our purchases. Prices are very reasonable. We drive 2 hours each way to shop at the Drum Connection and it is worth it. 5.0 star rating 11/6/2015 Yelp! You will not find a more beautiful person than Alan to assit you with your journey of learning the drums. I have traveled with Alan to Guinea, purchased various drums, and attended numerous classes. Have not been able to find the joy I felt when I was involved with the Drum Connection. Please open a southern location! 5.0 star rating 10/5/2015 Yelp! The drum I purchased from Alan several years ago is both beautiful and is a joy to use. The classes are fantastic -- designed for all skills levels and taught by master teachers that are knowledgeable and exciting. They are patient and know how to break rhythms down to bite size. I have enrolled my 4 year old in the children's drum class and it is dynamic -- teaching movement and African songs. She loves it and loves her teachers." 5.0 star rating 10/19/2015 Yelp! Purchased my djembe here a few years ago, just bought new skin, Alan and staff always knowledgeable and helpful. 5.0 star rating 8/29/2015 Yelp! I am new to drumming and am having a ball. I went to a Sunday night lecture and lesson on one type of drums and followed that with 2 Sunday night drumming circles with an excellent teacher-but not at the rank beginner level. Still, I loved it and just tried to follow and keep up. Now I am in a beginner class and I am still enjoying every minute. Alan is a kind and welcoming person. He coordinates to bring in a variety of excellent teachers and classes take place most every day of the week. He gives great advice about what to purchase and has rentals available. Come join the fun! 5.0 star rating 8/24/2015 Yelp! This is a great little shop. Alan was able to rent me some drums for my autism caregivers retreat and was very accommodating. The drums were gorgeous, beautiful sound. Our group had a great time thanks to Drum Connection coming through at the last minute for me. Thank you! 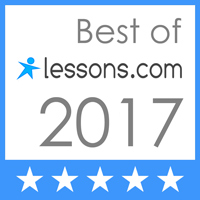 5.0 star rating Excellent Teaching! This is the first time I took drum lessons. I have taken piano lessons off and on for years. I really enjoy playing the drums. I had two teachers. They both had their individual style of teaching. I found that Alan is an excellent teacher. I would recommend anyone with a desire to learn drumming to check out DrumConnection. I haven't gone to their drum circle yet, but that's the next step for me. I am finishing up my first six weeks of classes, two more classes to go. 5.0 star rating 8/4/2015 Yelp! I'm new to the djembe and drum circles in general. The drum circle I attended last week was a blast. Very relaxed and friendly, the drumming was amazing. Alan and Fanta were both very warm and welcoming. As others have noted, great energy. I'm definitely going back. 5.0 star rating Incredible Drums! I returned to the store today to purchase my first djembe. Alan was more than helpful. He gave a mini-lesson on the spot so I would know how to evaluate the variety of drums, their tonal differences, etc. He also played several of them for me to have a better impression of what it sounds like once technique is mastered. The drum I finally settled on is incredible, love it. My wife was looking for a bodhran, and he gave demonstrations of those as well! Way better than 5 stars! Alan clearly loves what he is doing and it shows in the friendly, professional and deeply knowledgeable service. Way better than 5 stars. Alan was so helpful. He came highly recommended, and lived up to it. I got a wonderful drum for my nephew - have not yet given it to him, but he is going to love it. Five stars all the way! Honestly, I can't say enough good things about DrumConnection. Alan and John helped me pick out the perfect drum, and when I came in tonight, Alan talked with me for at least an hour about technique, the history of the djembe coming to America, and more. The place is warm and inviting, and the people who work there are the same. I am confident I chose the best place to start my drumming journey, and I will be back for their classes! Five stars all the way! My son is now starting drum lessons. We stopped in to purchase a drum pad and drum sticks. This is an amazing store. There is much to learn about choosing an instrument that suits you...and we were encouraged not to rush in and spend a lot of money at this stage. The store is packed with drums (mostly hand drums) and each visitor is encouraged to try out items that spark their interest. While visiting, my son tried several thumb pianos as well. Fanta lead our group of 21 drummers thru two hours of song, dance, and drumming. Everybody was smiling at the end of the evening. What a deal for 10 bucks! Drum Connection is a fantastic place to take African drumming lessons, meet some wonderful people and really expand your horizons by attending workshops with master drummers from West Africa. It's been a life changing experience for me. I am so blessed to part of Alan and Fanta's community. As always Alan was right there to make sure I got exactly what I was looking for. He even sent me a photo/text to confirm that he had the correct size, shape and sound of rattle I needed. This was that perfect combination of personal service and immediate results. Hey just wanted to write you a note to tell you how much I absolutely love the drum! It was the perfect choice for me. The slaps are just incredible and yet it gives good bass response. I brought it to work to play with the children and it was just such the perfect instrument. It’s just the right one for me and I'm really thrilled with it. Thanks so much. Thanks Alan for your undivided attention today as I purchased the replacement head for the djembe I had previously bought at DrumConnection. Could not be more satisfied!